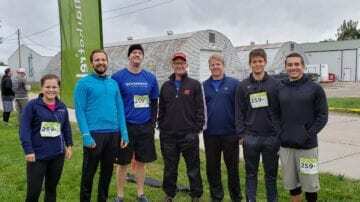 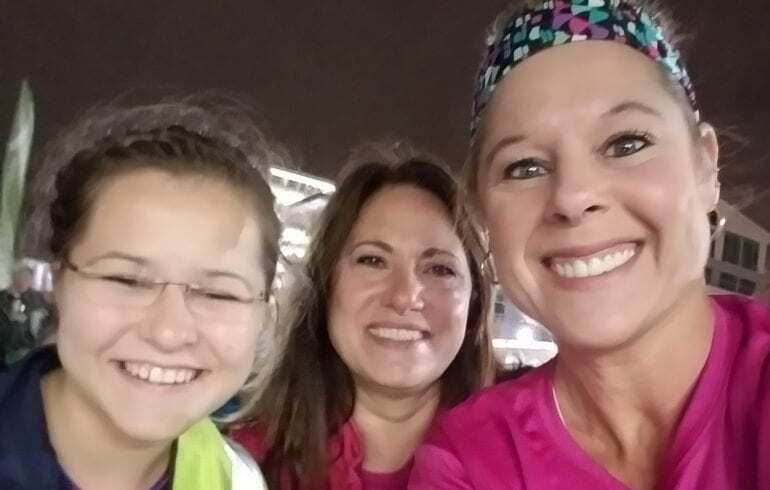 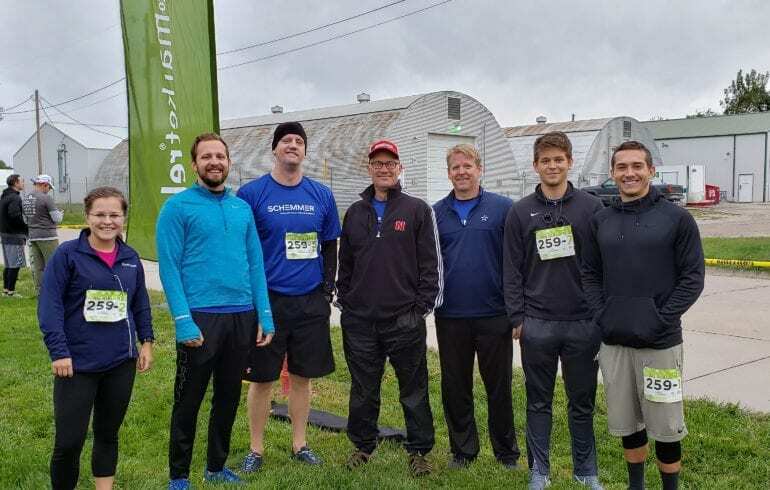 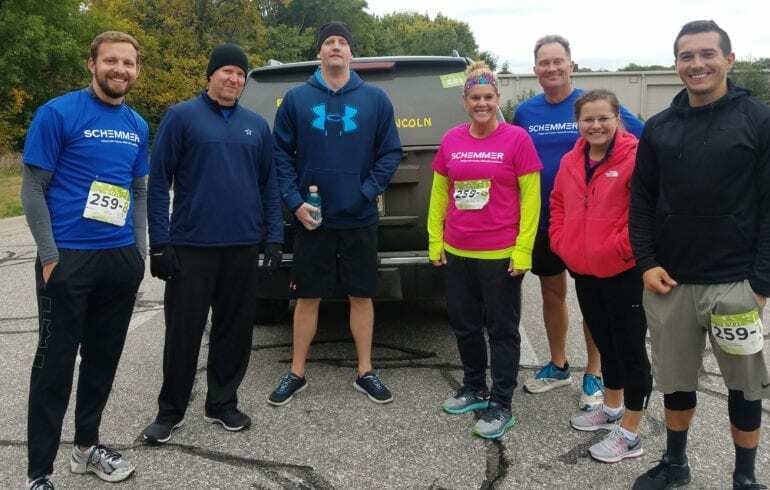 Congratulations to our runners for completing the M2M Omaha to Lincoln, placing ninth in the Corporate Division and 118th overall out of 616 teams! 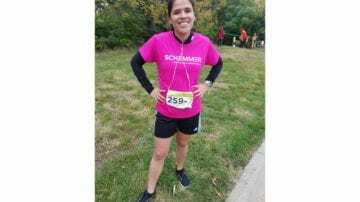 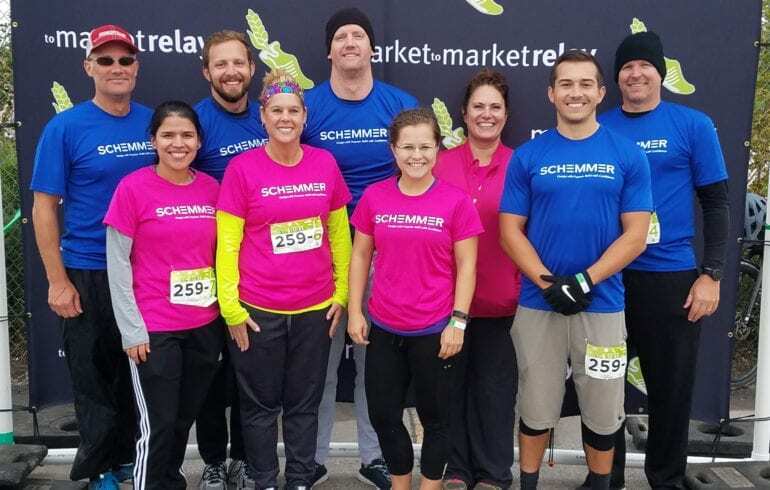 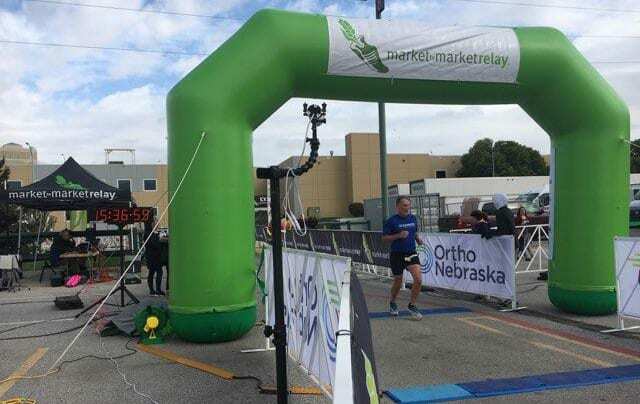 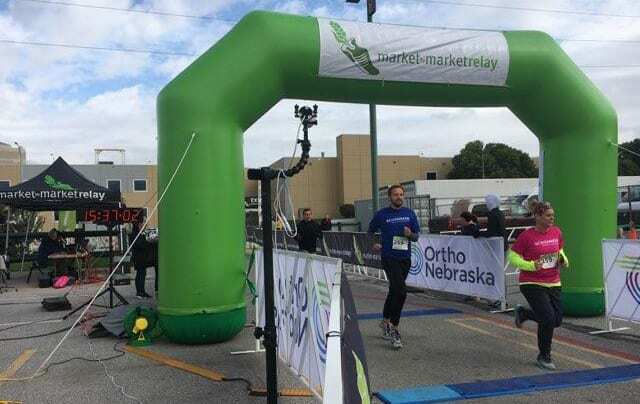 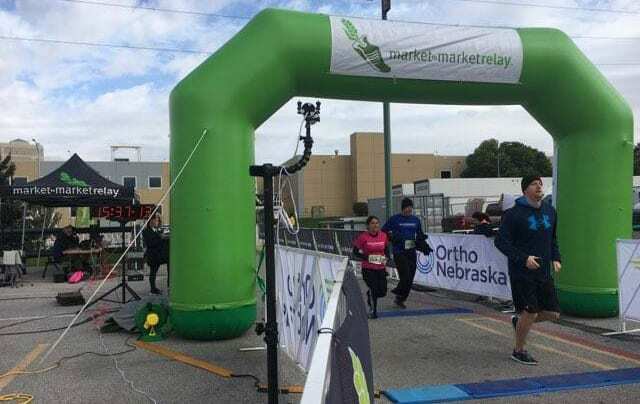 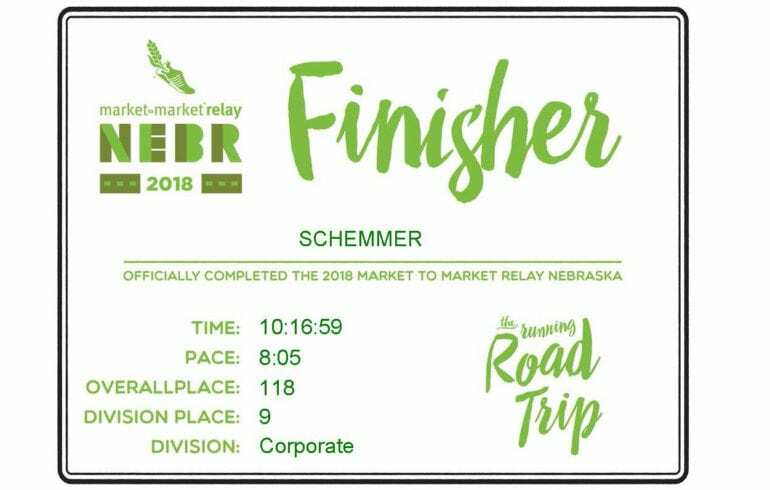 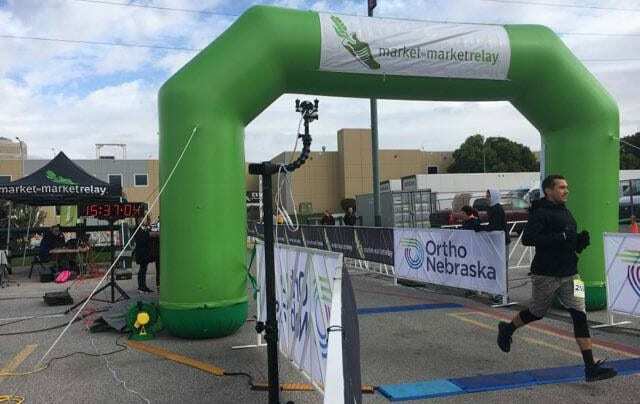 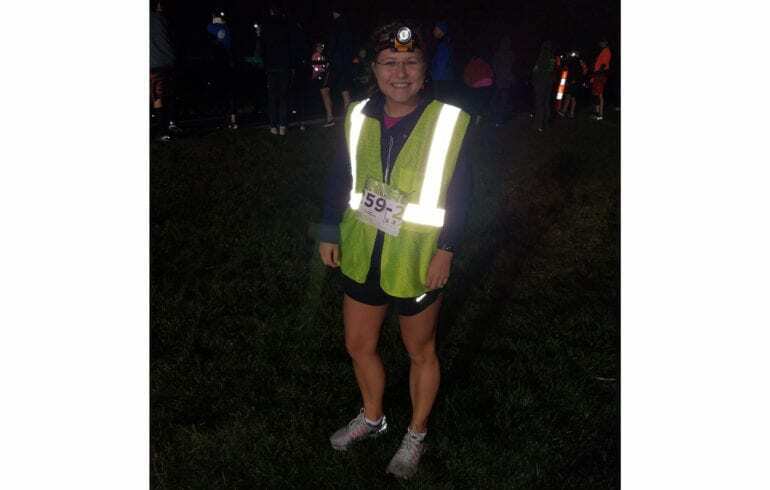 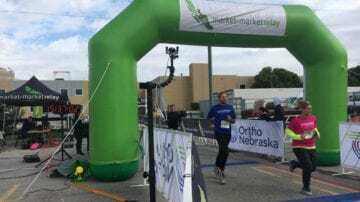 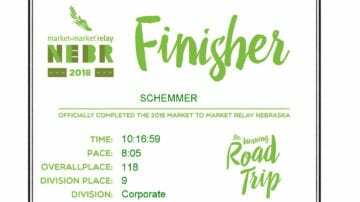 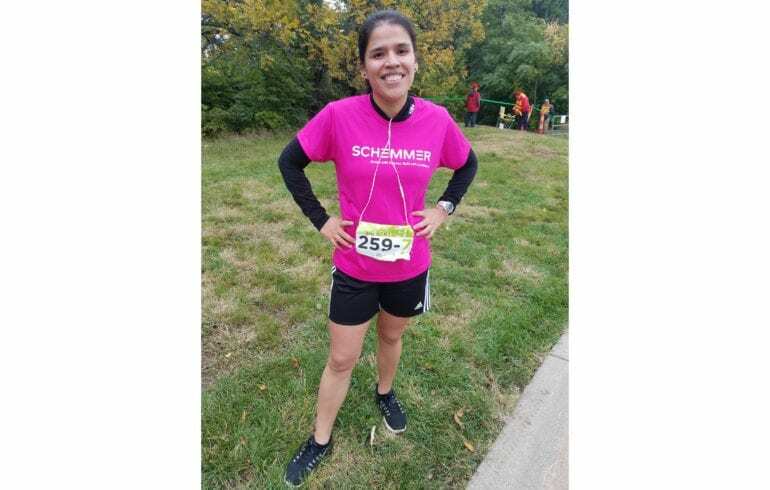 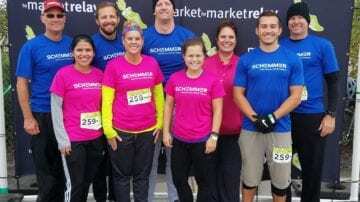 For the fifth year, Schemmer participated in the Market to Market (M2M) relay race that goes from Omaha to Lincoln. 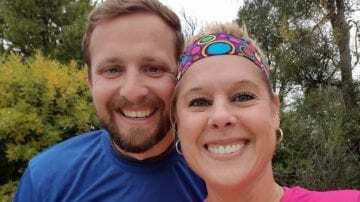 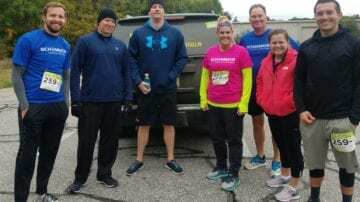 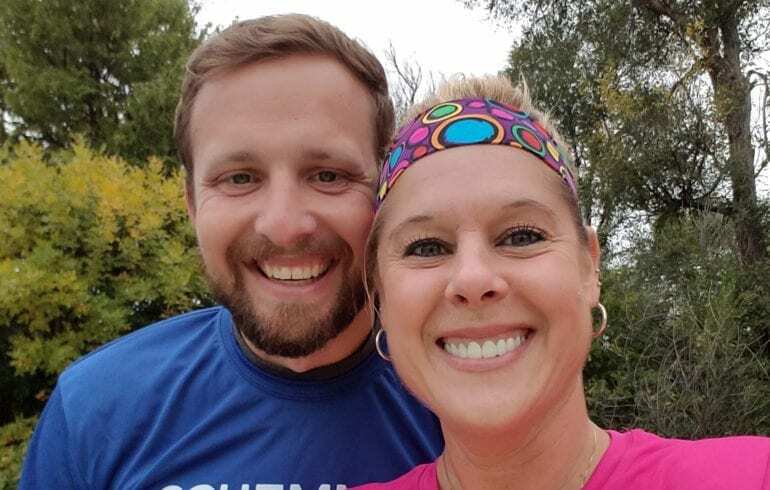 This year's runners were Ana Hanke, Bryce Johnson, Dawn Kirchert, Derik Knock, Ian Plummer, Riley Swope, Shane Swope, Julia Tabaczyk and Dave Watson. 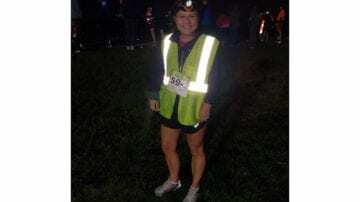 And let's not forget our expert driver, Paula Latham. 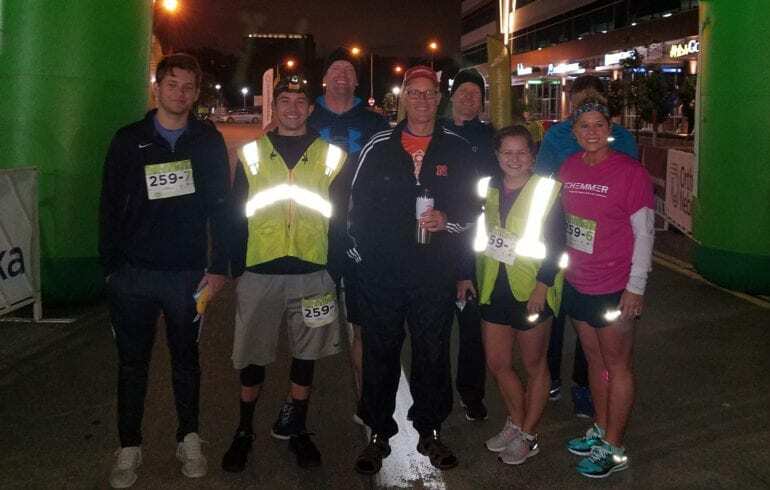 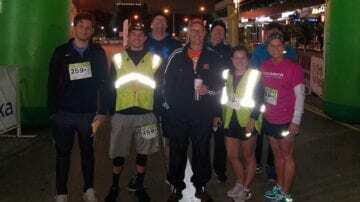 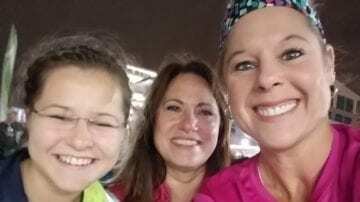 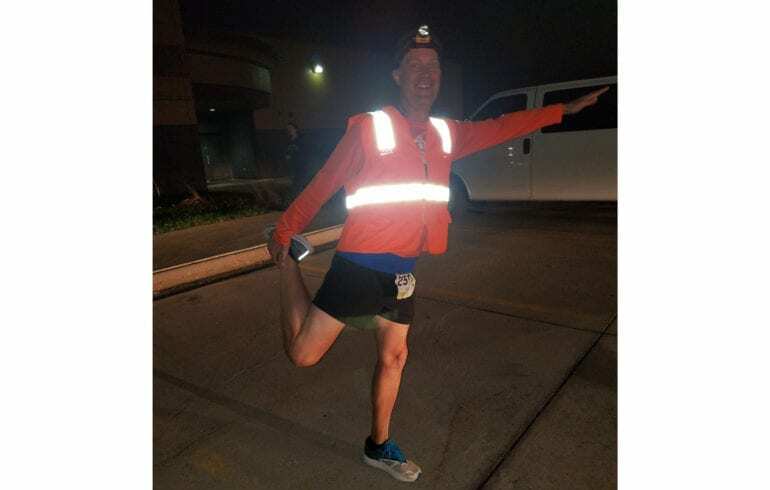 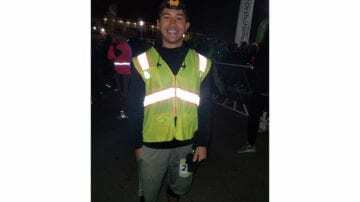 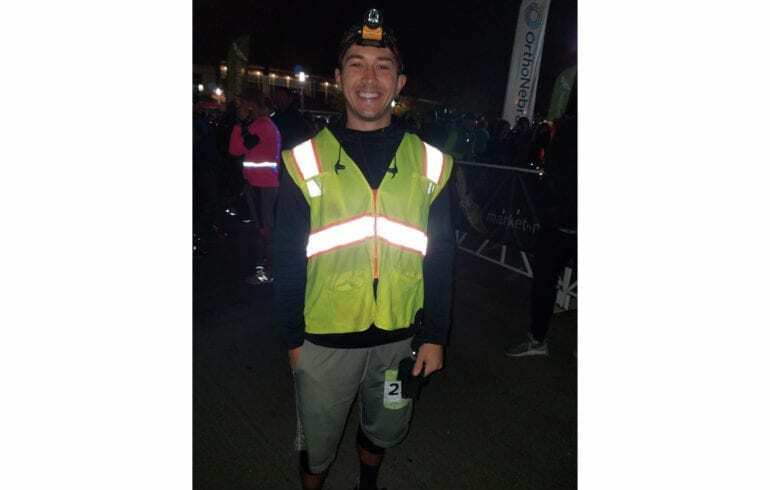 Starting at 5:20 am, they ended the 76-mile course with a celebratory “Pepsi Post-Race Shindig & Expo” at the conclusion of the race in the Haymarket District. 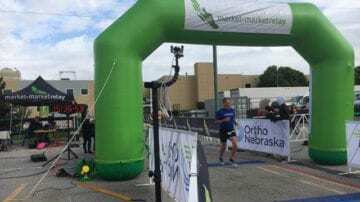 They beat the 2017 time by 22:58, completing the event in 10:16:59 at an 8:05 pace (2017 time was 10:39:17, 8:22 pace) (2015 was 11:44:58, 9:14 pace) (2014 was 12:16:12, 9:16 pace) (2013 was 12:46:29, 9:44 pace).